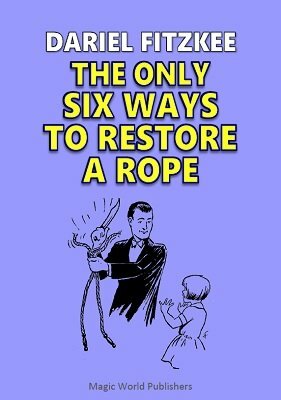 Along the way, you'll learn the secrets to several past and present commercial rope effects that would cost several times the price of the ebook, if purchased individually. Best yet, the author starts from scratch with a method to randomly select various principles explained throughout the ebook, assembling them into a brand-new routine. You can do the same, once you've digested the contents of this informative and well-illustrated ebook. 1st edition 1944; reprinted as Rope Eternal in 1957; PDF 80 pages.